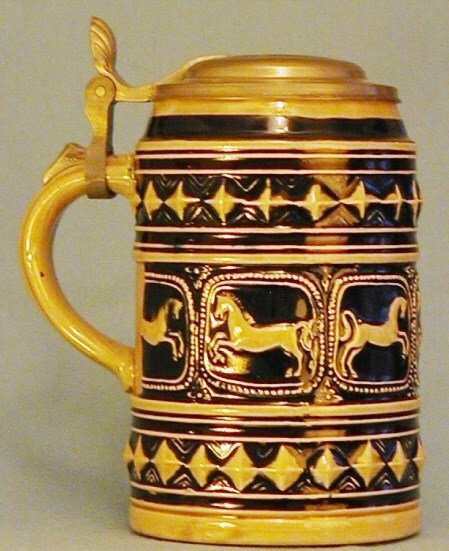 This page shows a series of reproduction older steins –The stein shown above ▲, is a replica / repro of a Rären) Raeren) stein (Ca. 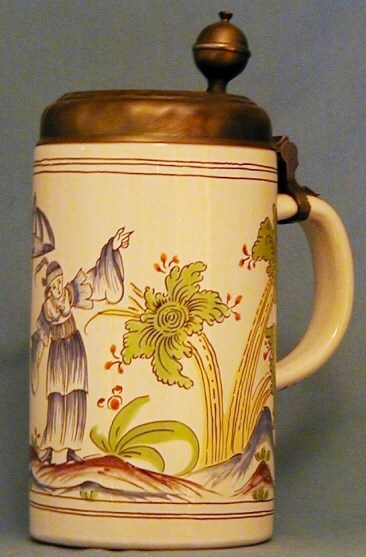 1700) and was issued in 1980 by the König Brewery (Duisburg, Germany). 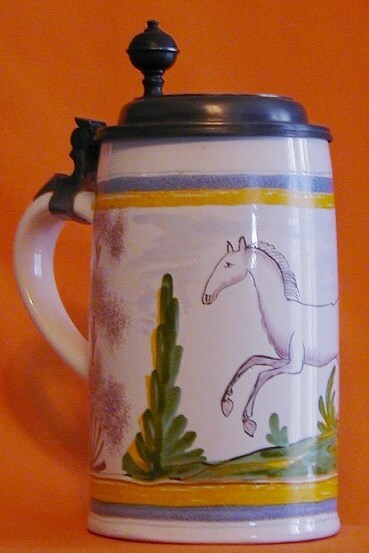 This company issued Jahreskrüge f(Yearly Steins) from 1976 through 1993. 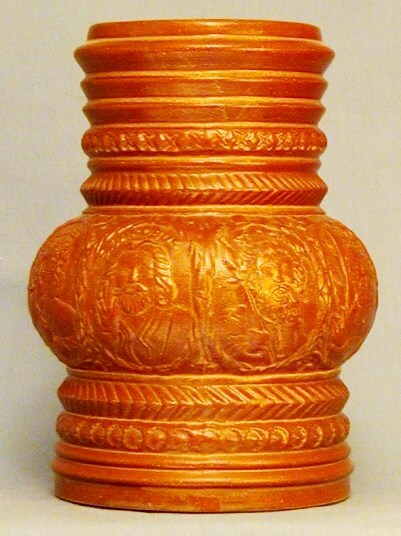 It is 8.75 inches tall to the top of the thumblift and 4.125 inches diameter at the base. 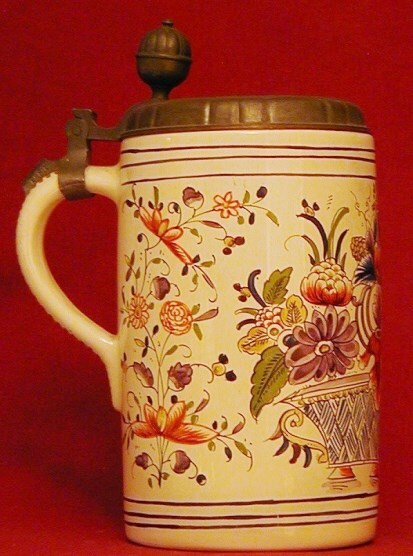 This one was manufactured by Gerz. 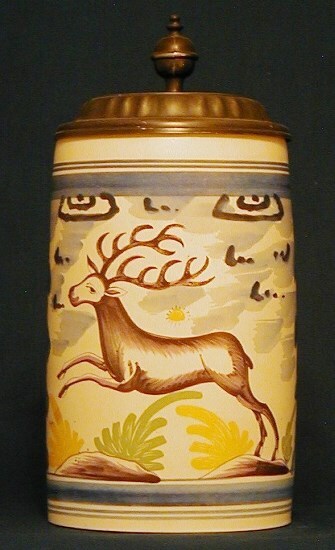 Editor’s Note: If you can’t afford the real thing, I believe these are about the best reproductions on the market today! 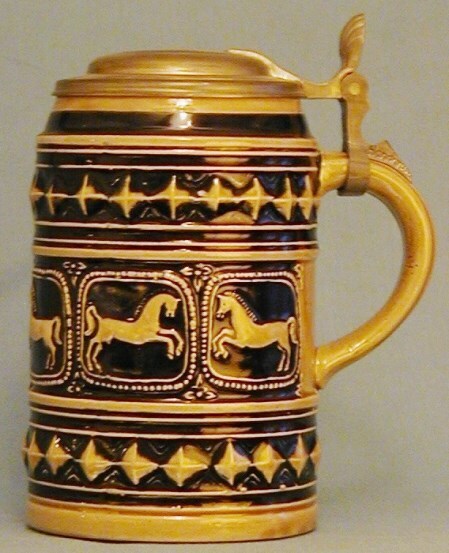 I’m going to start listing these one by one starting on 7-26-2013, in the meantime, if you should belong to it, see SCI’s “Prosit” for December 2010 for an article on this series of jahreskrüge. 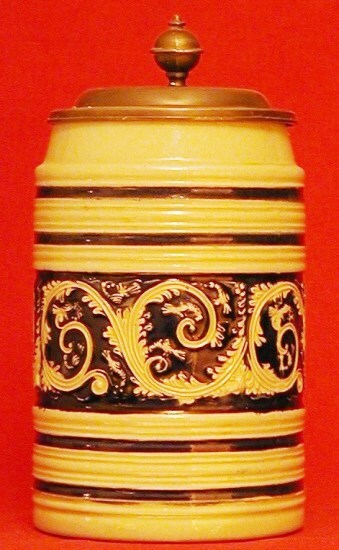 Another of the series: A copy of a Thüringen Faience stein (Ca. 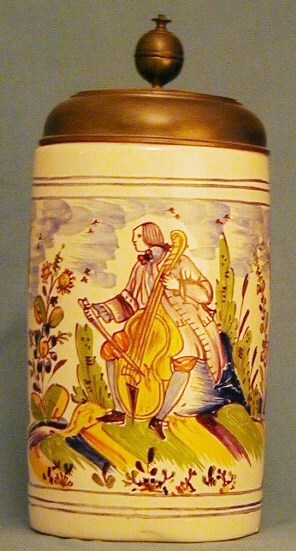 1740). 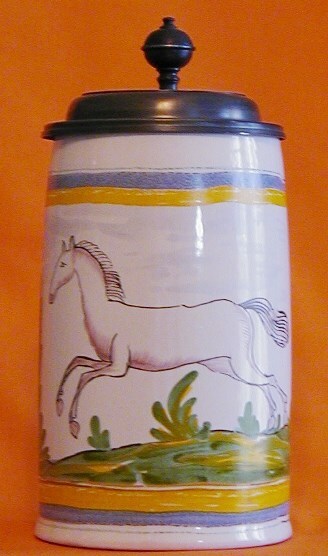 Issued in 1986 by the König Brewery. 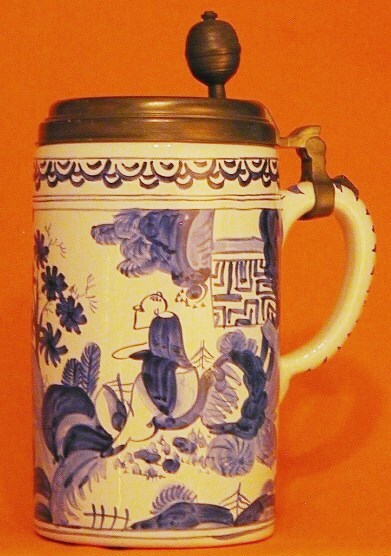 It is 8.75 inches tall to the top of the thumblift. 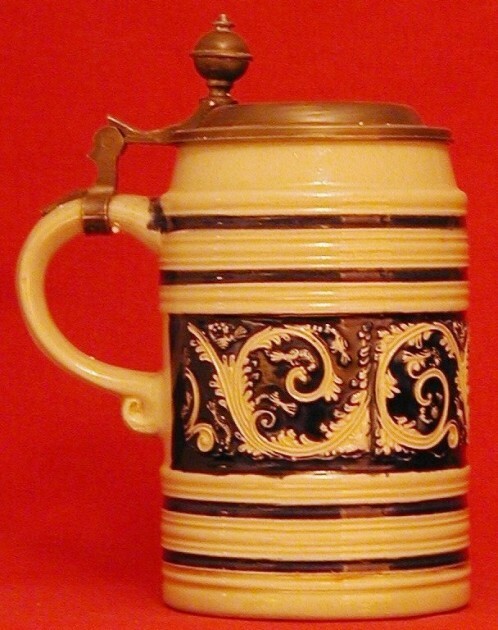 Theodor König was born in 1825 at Üppenhagen farm (in what is known today as Selm-Cappenberg); in 1858, he opened a brewery in the country district of Beeckwhich, at that time, did not yet form part of the city of Duisburg. 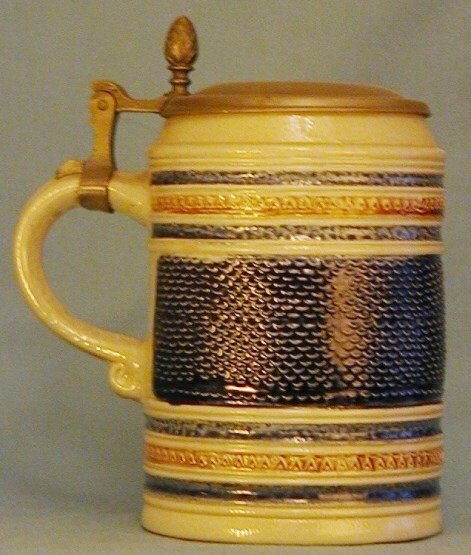 He brewed lager in the Pilsner style, despite the fact that this bottom-fermented style of beer was relatively unpopular at the time. 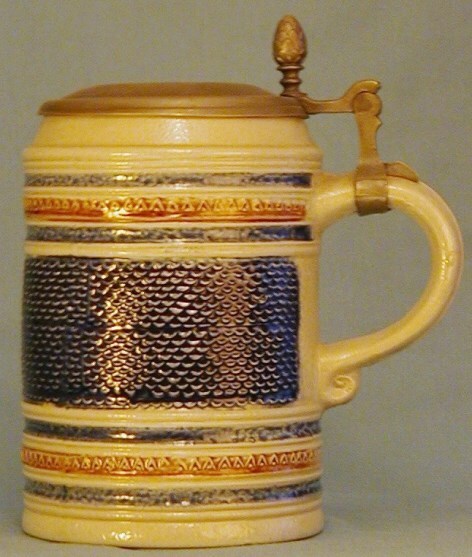 First records of the brand “König Pilsener” appear in 1911. 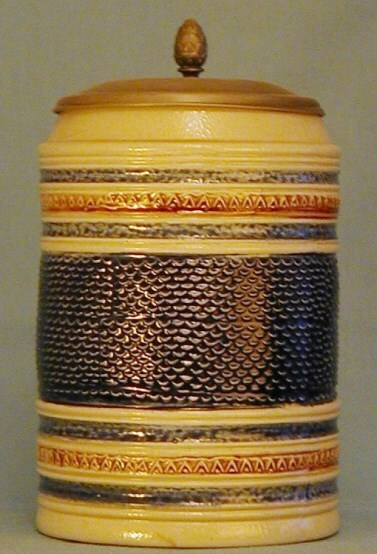 At first, König Pilsener was known for its bitter hoppiness; later, the beer was consistently adapted to the requirements of a premium lager intended for mass consumption. 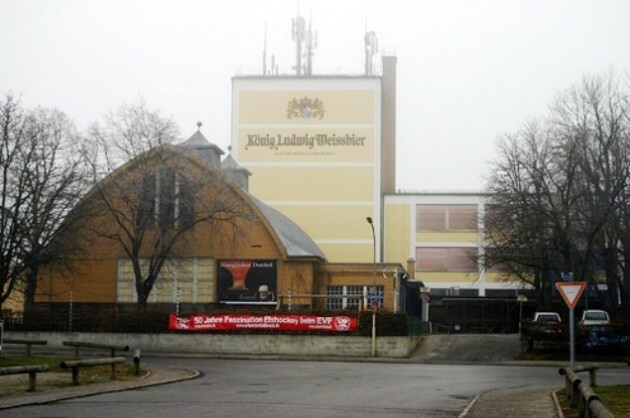 On 1 February 2000, the König brewery became a subsidiary of the Holsten Group; this group was then sold to the Danish Carlsberg concern in the course of 2004. 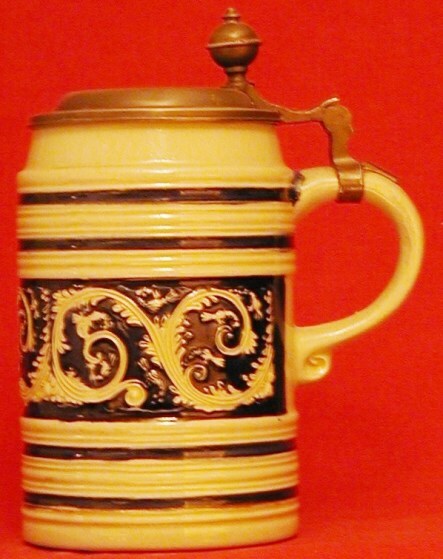 Carlsberg broke up the Holsten Group, selling the König and Licher breweries to Bitberger Holdings. 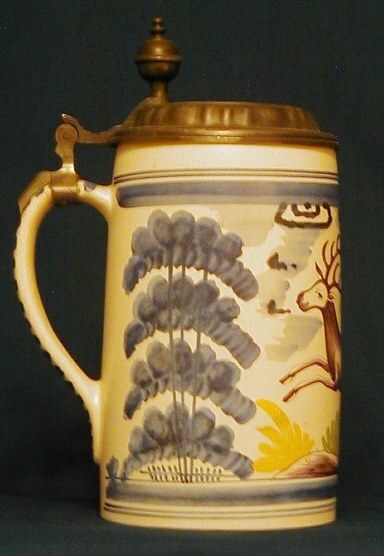 Copy of a Westerwald stein (c. 1700) and was issued in 1977 by the König Brewery. 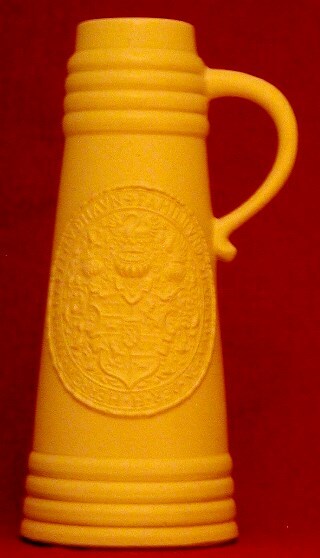 Copy of a Bareuth Faience stein (c. 1700) and was issued in 1984 by the König Brewery. 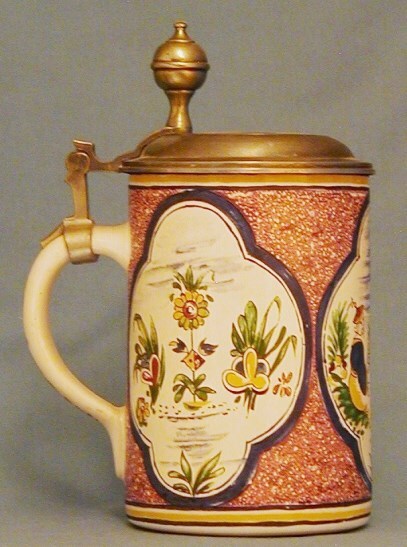 Copy of a Muskauer stein (c. 1790) and was issued in 1978 by the König Brewery. 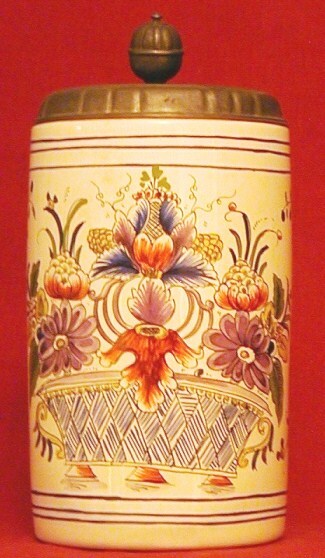 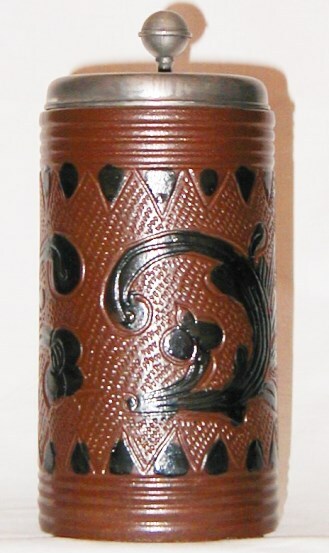 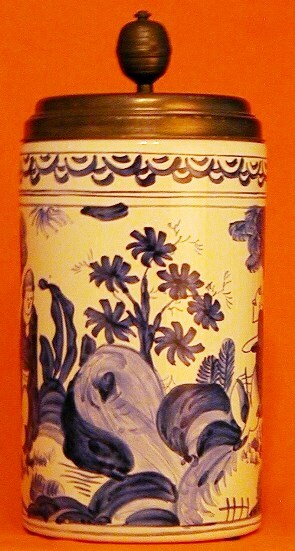 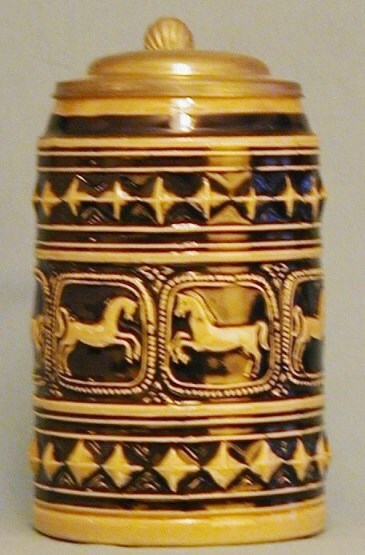 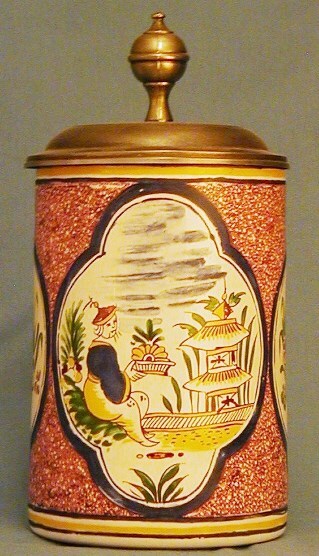 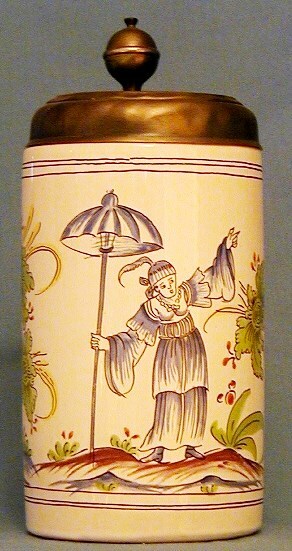 Copy of a Nürnberger Faience stein (c. 1850) and was issued in 1993 by the König Brewery. 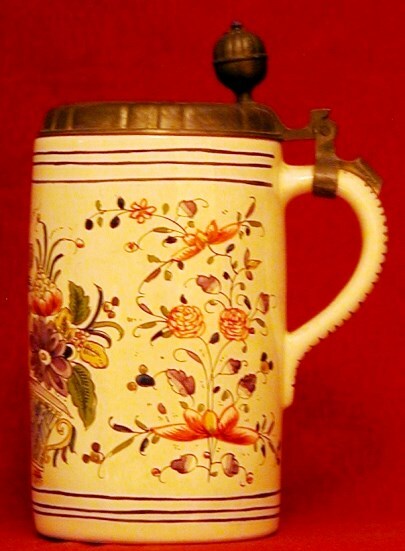 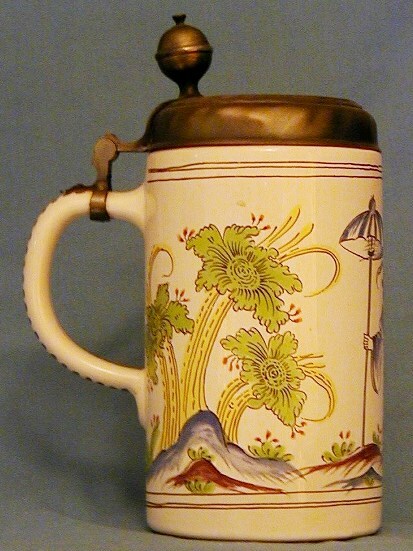 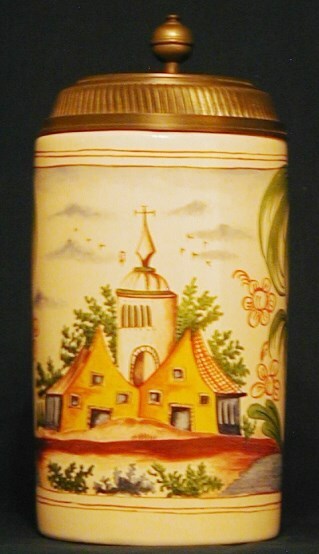 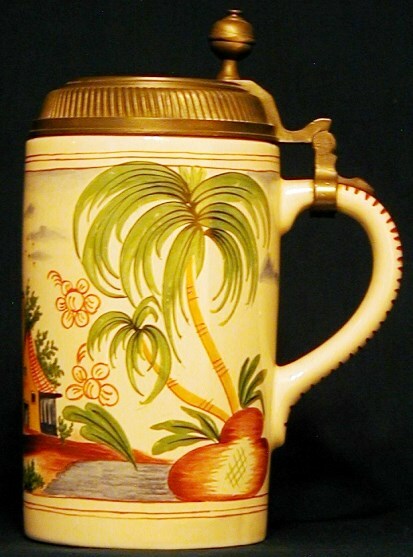 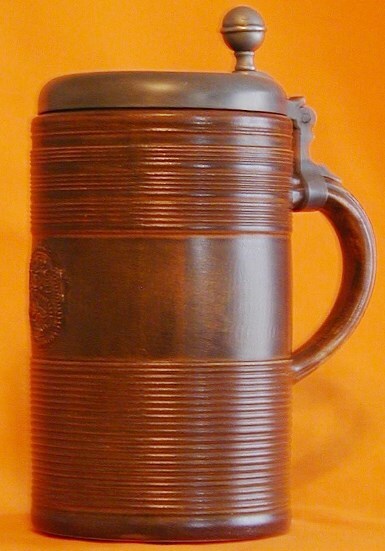 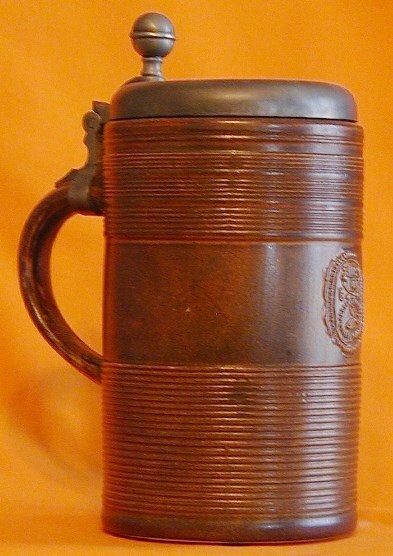 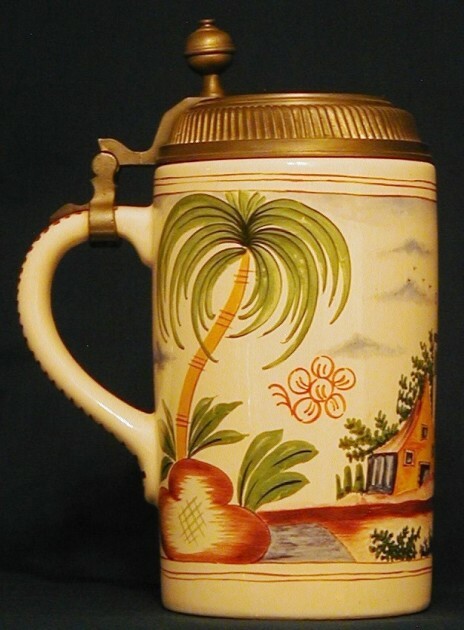 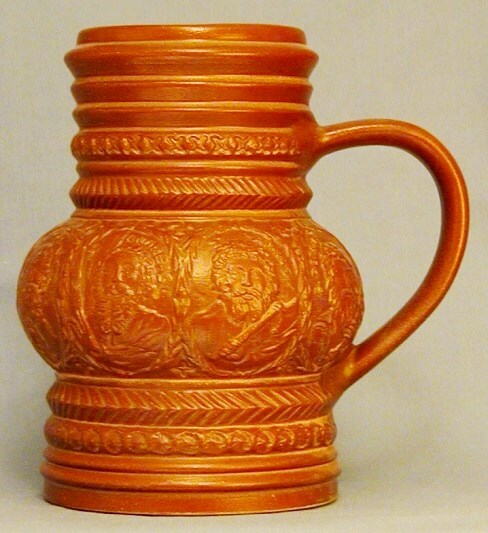 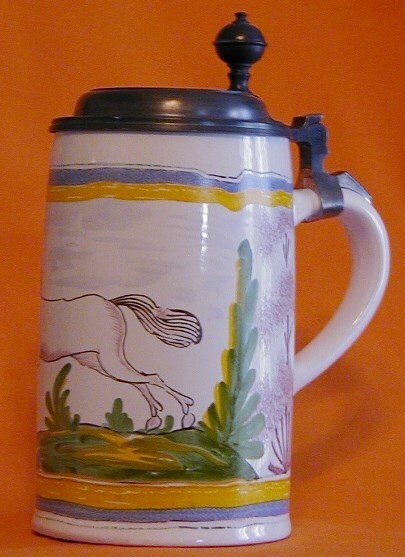 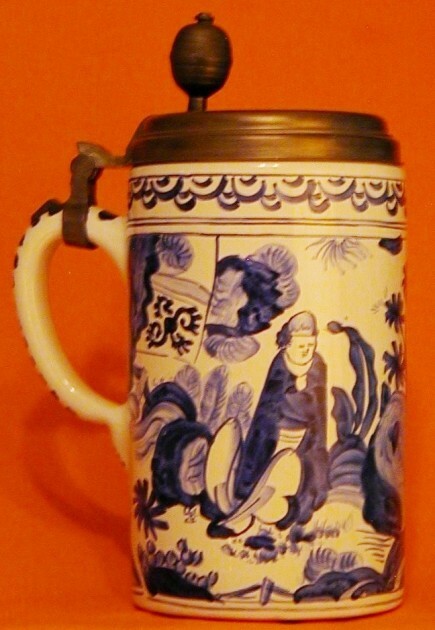 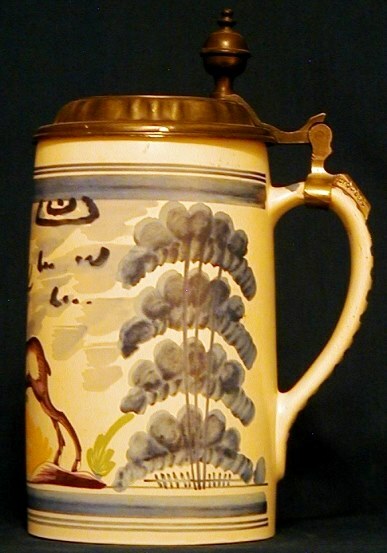 Copy of a Westerwald stein (c. 1800) and was issued in 1979 by the König Brewery. 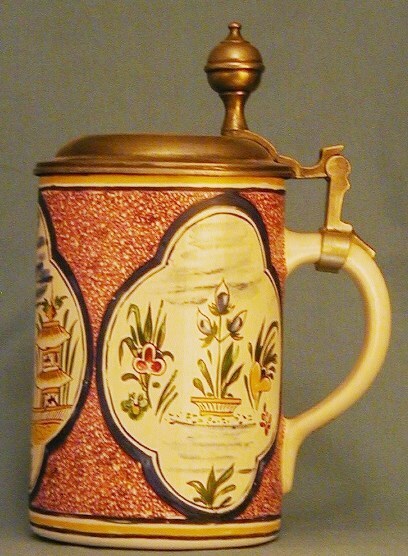 Copy of an Altenburger Apostle stein (c. 1660) and was issued in 1989 by the König Brewery. 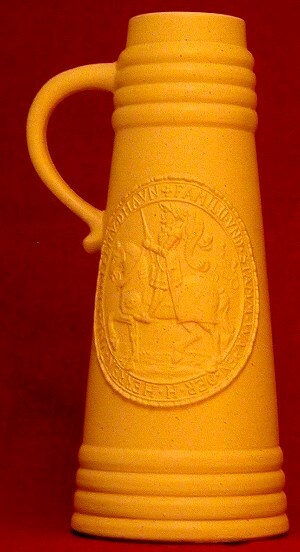 Copy of a Berlin – Menicus Faience stein (c. 1780) and was issued in 1988 by the König Brewery. 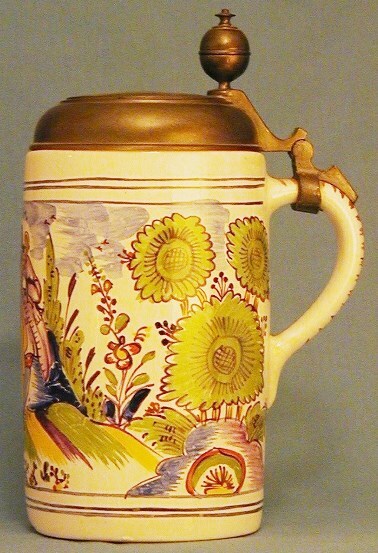 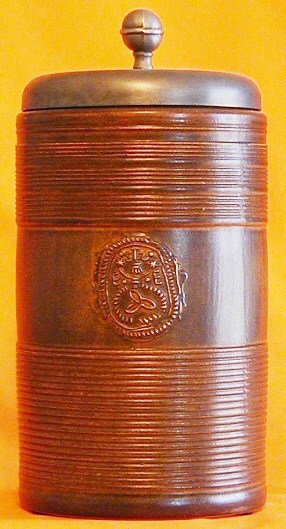 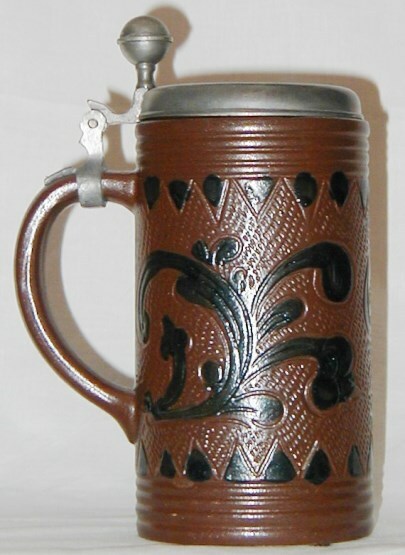 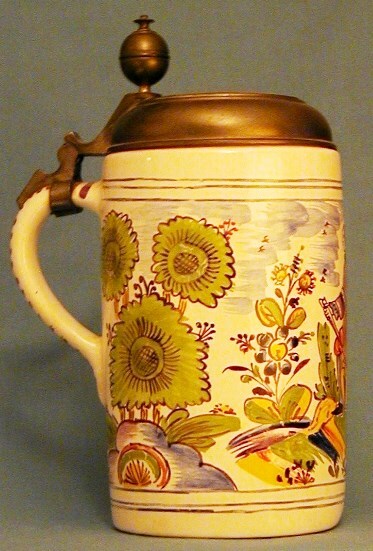 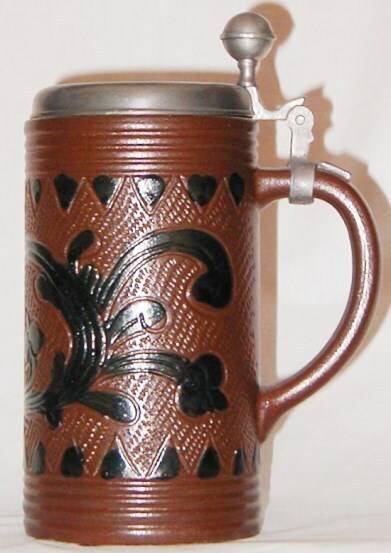 Copy of a Westerwald stein (c. 1700) and was issued in 1981 by the König Brewery.